What: “A bio-inspired journey through some research challenges of energy and environment,” a lecture by Dr. Ramkrishna Sen, Fulbright Visiting Scholar at Columbia University. When, where, etc: Tuesday April 15, 2014, 11 a.m. to noon, Fort IRC, Room 410. There is no charge for the workshop. Fulbright campus representatives and interested faculty are encouraged to attend. To reserve a seat please email Brendan McKennedy. Background: Dr. Ramkrishna Sen is an associate professor in the Department of Biotechnology, Indian Institute of Technology, Kharagpur, India. He is currently working as Fulbright Visiting Faculty in the Department of Earth & Environmental Engineering, The Fu Foundation School of Engineering & Applied Sciences at Columbia University. Dr. Sen is a biochemical engineer by training and profession. He has been engaged in R&D in energy and the environment and healthcare. His team has been working on the process development and optimization for antitumor, broad-spectrum antimicrobial and biofilm-disrupting biosurfactants of marine bacterial origin; biosurfactant-enhanced remediation of heavy metals and polyaromatic hydrocarbons; biosurfactant-mediated MEOR and nano-particle synthesis; bioethanol from lignocellulosic biomass; biodiesel from microalgal lipid and non-conventional vegetable oils and algae based CO2 capture & sequestration (CCS) from flue gas coupled with waste water treatment. The Outreach Lecturing Fund allows Fulbright Visiting Scholars who are currently in the United States to travel to other higher education institutions across the country. Each year some 800 faculty and professionals from around the world receive Fulbright Scholar grants for advanced research and university lecturing. The fund allows these scholars to share their specific research interests; speak on the history and culture of their home country; exchange ideas with U.S. students, faculty and community organizations; become better acquainted with U.S. higher education; and create linkages between their home and host institutions and the Council for International Exchange of Scholars. A nationally recognized pioneer in clean-energy development has been named Senior Researcher of the Year at North Carolina Agricultural and Technical State University. Over a career of more than 25 years, Dr. Yusuf “Debo” Adewuyi has skillfully fused chemical engineering and environmental science to explore new dimensions of energy production, including the use of nanoscale materials and sound-wave technology for pollution control. The NSF CREST Bioenergy Center, Interdisciplinary Team Award. They were chosen from a field consisting of faculty members selected as researchers of the year by their colleges and schools. The winners and nominees will be honored Friday April 11 at the annual Celebration of Faculty Excellence. Details on the winners follow the jump. All EES CREST and Sustainable Bioproducts students must attend this seminar. Others are welcome as well to hear this accomplished catalysis engineer and scientist. Dr. Huber’s research focus is on breaking the chemical and engineering barriers to lignocellulosic biofuels. He is the co-founder of Anellotech, a biofuel company focused on commercializing catalytic fast pyrolysis, a new technology developed by Dr. Huber’s research group to convert biomass into gasoline-range aromatics. His discovery of Raney-NiSn catalyst for hydrogen production from biomass-derived oxygenates was named as one of top 50 technology breakthroughs of 2003 by Scientific American. Abstract: This presentation discuss different approaches for the production of renewable fuels and chemicals that are being developed in the Huber research group. The presentation will highlight some of the challenges and future opportunities for future process development and design of new catalytic approaches. Renewable aromatics and olefins can be produced from biomass by catalytic fast pyrolysis (CFP). The aromatics can be used as a feedstock to make renewable polymers including polycarbonates, polyurethanes, polystyrenes, and polyethylene terephthalates. CFP involves the direct production of aromatics from biomass in a single catalytic step. Solid biomass is fed into a fluidized bed reactor, where the solid biomass thermally decomposes. The biomass vapors enter a zeolite catalyst, where a series of dehydration, decarbonylation and oligomerization reactions occur to form aromatics, olefins, CO, CO2, coke and water. Coke is formed from homogeneous decomposition reactions or catalytic reactions inside the zeolite. Fundamental catalytic studies with model compounds combined with in-situ and temperature-programmed techniques have aided in the design of improved zeolite catalysts for CFP. Hydrodeoxygenation (HDO) is a platform technology used to convert liquid biomass feedstocks (including aqueous carbohydrates, pyrolysis oils, and aqueous enzymatic products) into alkanes, alcohols and polyols. 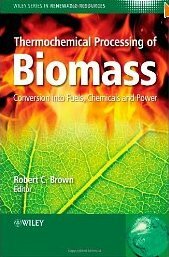 In this process the biomass feed reacts with hydrogen to produce water and a deoxygenated product using a bifunctional catalyst that contains both metal and acid sites. The challenge with HDO is to selectively produce targeted products that can be used as fuel blendstocks or chemicals and to decrease the hydrogen consumption. 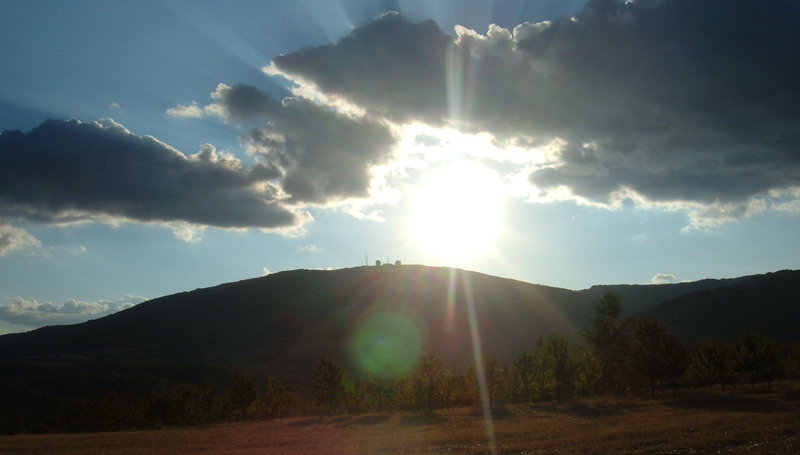 A&T, UNCG, WFU, and WSSU researchers are working on low-cost solar concentrators as a key to economically viable electricity generated from sunlight. Four Triad universities are working together on a project to significantly reduce the cost of generating electricity from sunlight. The Four Universities Solar Consortium is composed of scientists and engineers from North Carolina Agricultural and Technical State University, the University of North Carolina at Greensboro, Wake Forest University, and Winston-Salem State University. The team’s specific goal is to develop a low-cost solar concentrator that will make the production of electricity from sunlight economically viable and widespread. To do that, the team will have to advance the science of using concentrated sunlight to split water molecules into hydrogen and oxygen and then develop a way to store the hydrogen on site for capacity leveling. “This further requires developing and integrating, through industrial partnerships, three important supporting technologies for mirrors, waste-heat recovery, and high-temperature photovoltaics and catalytic reactors,” the team’s proposal says. The project was one of three finalists for a $100,000 grant from the four schools’ Triad Interuniversity Planning Project (TIPP). The provosts of the schools are funding the one-year project. Each finalist previously received a one-year TIPP planning grant of $20,000. “We were betting in the planning phase that an acre of mirrors could be constructed more cheaply than an acre of efficient photovoltaics, and that the higher temperature of waste heat from concentrator systems will open routes for reclaiming some of it as electricity,” the team said in its proposal.